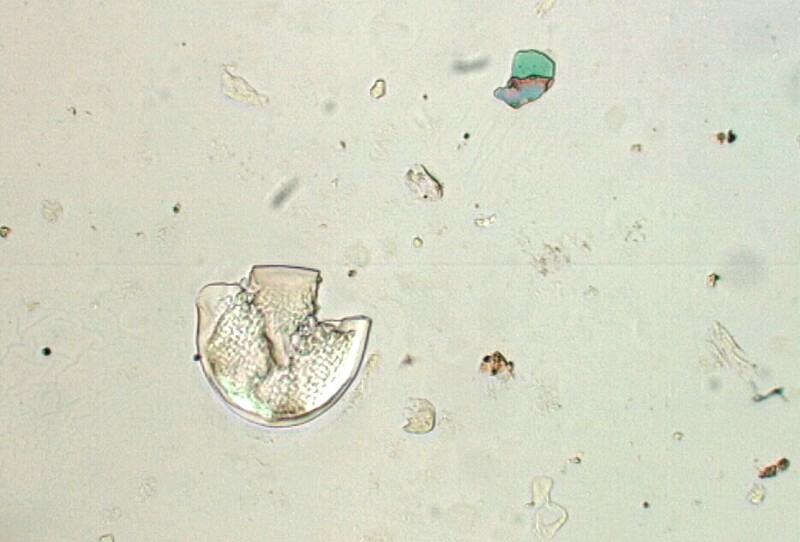 The large particle near the center of the field is a fresh Douglas Fir pollen grain. The starch grains in the pollen indicate that it is fresh. The cosmetic particle is the colored particle in the upper right of center.